Volume 5, Edition 7 Trouble loading? View this email online. 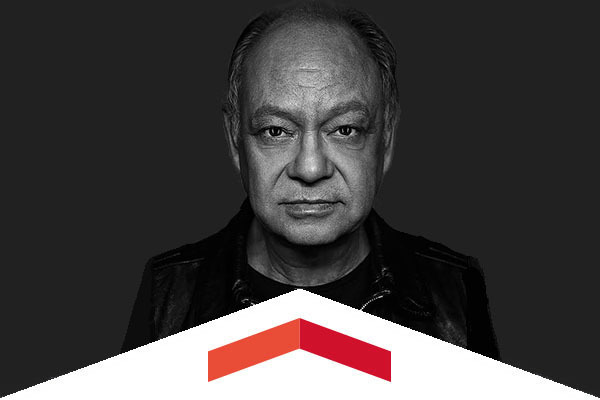 Cheech Marin is returning to CSUN on Sept. 28, and it’s sure to be funny. The king of counterculture (and CSUN alumnus) continues his elevation of Latino voices by bringing a group of comedians, headlined by Paul Rodriguez, to The Soraya (formerly VPAC). Discounts available for the CSUN community. Feria de Educación brought thousands of people to CSUN to show young Latinos about the power of education. 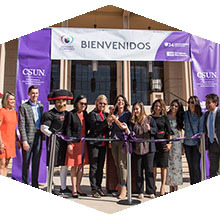 The event, a partnership between CSUN, Univision and the CSU system, was filled with hope and inspiration, teaching young people about financial aid, college readiness and much more to make higher education more accessible. What’s better than picking up a broom, rake or shovel on a Saturday morning, helping others in the process? 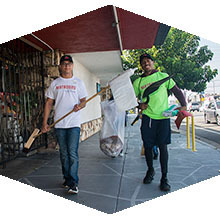 That was the case for hundreds of volunteers who helped clean up CSUN and its surrounding community. Fri, Sept. 29, 7 p.m. The Matadors face the Gauchos on Spirit Night/Neon Night in the Matadome. Thur, Oct. 19, 8 p.m. The star funk and soul jazz saxophonist performs with the Ray Charles Orchestra and The Raelettes, the original girl group that provided backup vocals to Ray’s signature style. Thur, Sept. 28, 7 p.m.
Further appreciation of the great actor-director. In Seven Chances, Keaton must find a bride by 7 p.m. to get a $7 million inheritance. In Go West, a greenhorn (Keaton) heeds Horace Greeley, hops a freight train and befriends a cow named Brown Eyes. A dynamic group of alumni will share the skill sets you’ll need (beyond a degree) to land a job as a data scientist. Randie Gottlieb — who played for the 1969-70 U.S. women’s national volleyball team — uses her CSUN education as the foundation for teaching about living in a diverse society, reducing prejudice and improving race relations. CSUN faculty and students are teaming with legal nonprofit Bet Tzedek to provide free help for families dealing with immigration issues. This unique presentation develops the expertise of experienced professionals to successfully fulfill the rewarding commitment of mentoring students, new clinicians and assistants. CSUN Alumni Association members get a discounted rate of $55. This course fulfills the California State requirements for mandatory supervision continuing education coursework. The Arts Alumni Chapter’s first gallery showcase kicks off at the CSUN West Gallery from 2-4 p.m. This free event will feature beautiful art, great conversation and refreshments. Join fellow CSUN alumni attorneys for dinner, networking and a guest speaker on Oct. 4 at Lewitt Hackman in Encino. There is no cost to attend and dinner is provided, so bring a friend!